Additional Description: The marker can be seen left of center in this view to the west, with the Casa de Ecala in the background. 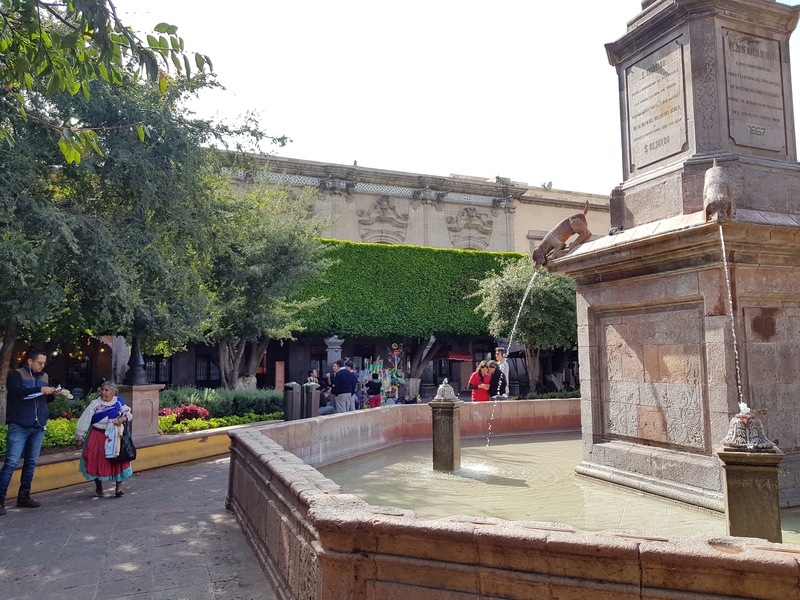 To the right in the foreground is the fountain dedicated to the Marquis Juan Antonio de Urrutia y Arana. Submitted: June 10, 2018, by J. Makali Bruton of Querétaro, Mexico.